Saas e-commerce platforms are user friendly. It has a required a monthly subscription for its right to use. They are considered to be very useful for entry level shopping site owners. Though the owners have limited or no technical knowledge. Creating an account with these platforms provides you solutions for web hosting, technical tools, support, moreover maintenance and security for the site. Have a check with customization options, despite which it is a beginner’s best help solution. Well-known SaaS platforms include Shopify, BigCommerce, Volusion etc. The retailerwho need to complete a store within budget, then the best options are Open Source platforms. They are free to download, easy to install and use. But it lacks the technical support. The online store keepers have to find hosting and security provisions by their own. An extensive coding knowledge or experience is must to use these platforms. Choosing the best e-Commerce platform depends on the online retailer’s requirements. The very popular sites which are so far used on an extensive scale aregiven below for your easy reference. The Magento is free to download. But web hosting and domain related services are charged by the developers. 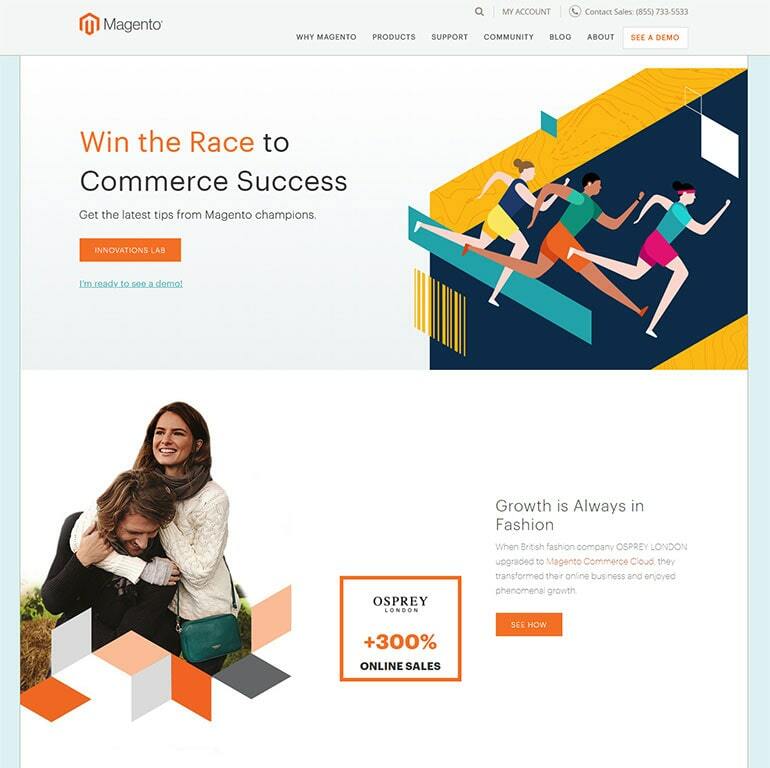 The important fact is that, Magento itself does not recommend their site for small and start-up merchants. They point out the requisite to possess a basic technical knowledge to use it. It’s a PHP built software. Hence for its implementation and maintenance, a php support team is required. 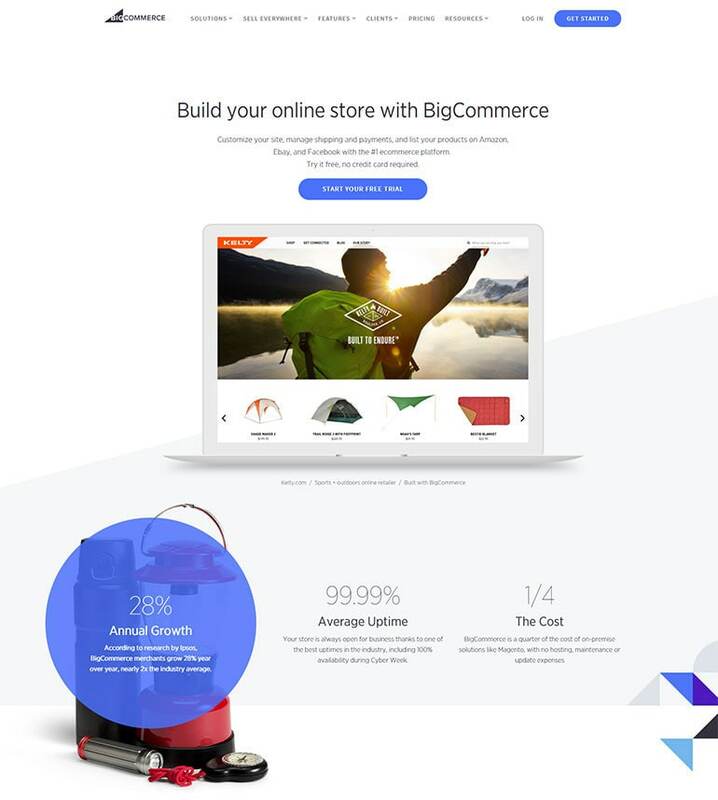 Bigcommerce is a cloud-based, SaaS and licensed shopping cart software. It is a complete service package with tools and support to establish. It helps to run an online store efficiently. It also incorporates a big collection of design templates. This can be used in blend with one’s business brand. Recognized for its ease of use and excellent customer care, it is used by many large business groups. Facilities for web hosting, site security, foreign currency support, catalogue management, the best support for shipping and delivery attracts more online retailers to commit to this platform. An option to avail a free 15 day trail use before purchasing the software. It helps many a lot users to perform a test of it and check the suitability with their online store requisites. Without charging any installation or cancellation fee, the software is available to be purchased on various monthly or yearly price plans. The user’s review acknowledges the fact that, the investment made is worth to enhance their sales and earn higher profits. 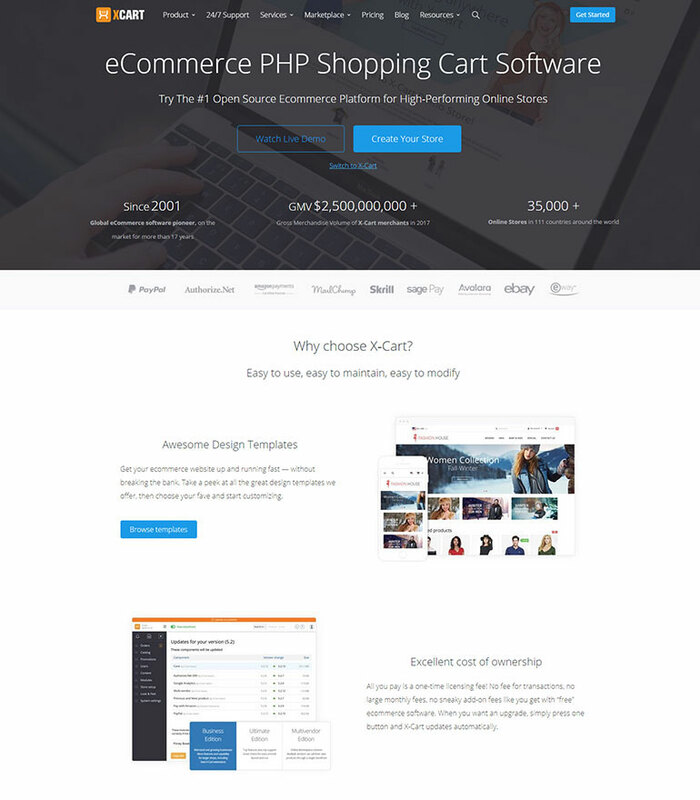 Xcart PHP based shopping cart software. Offers some exceptional features which are not available with many of its kind. The most notable among these is a lifetime license option. It comes with self-hosting and install options, even though built on an open source code. 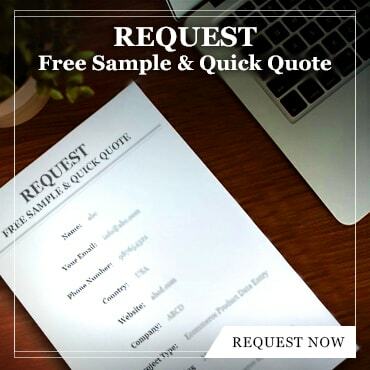 It has noteworthy features like instant popping up of products while typing in search box, abbreviated as Cloud Search along with absence of any transaction fees charged by many other popular software, and a holistic inventory management system. When there is a need to be expertise in coding to further enhance sales options, still there exists ample space for customization by hiring a developer. The major deal about this software is its upgrading charges, which are a quite high, but is worth your sales boost. 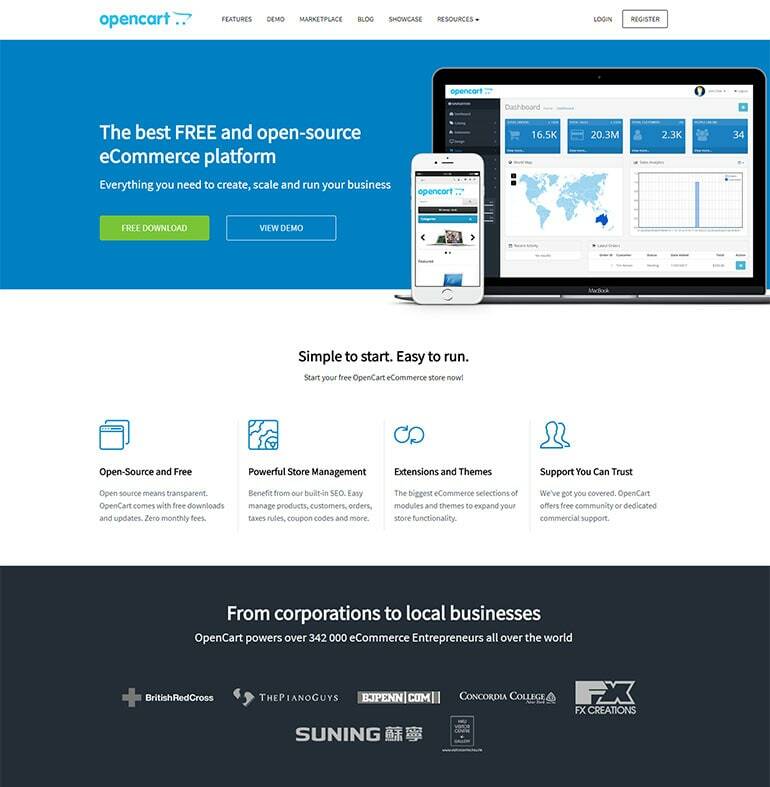 Opencart is an open source platform offering an extensive array of web themes and designs. The very attractive feature of this PHP based software is that, it doesn’t require to be familiar with coding to use it at beginning. It is free to download, install and update, but it is associated with some operating charges. Beneficial to MNCs and larger businesses because of providing multi-lingual customer care and improved payment options like supporting multi-currency and more than 20 gateways. They have partnered with eight shipping clients to make convenient product delivery for the client sites. Availability of a varied range of add-ons, which is also been updated constantly gears online retailers to make use of this contented and user friendly shopping cart software. WordPress site are very familary to all. One wants to get WordPress site turned into an e-shopping site. 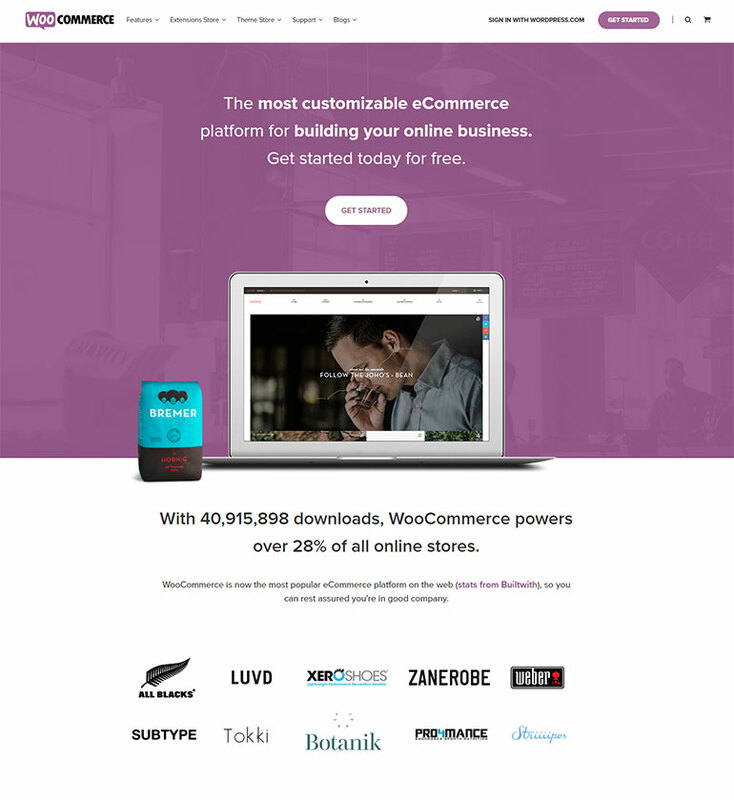 WooCommerce is the natural choice . It built using Wordpress customs at both back and front ends. It can be used to build a new online store site as well. Honored as the highest downloaded e-commerce software, it is been widely used by millions and millions of users. Like any other open source platform, WooCommerce is also free to download and use. However, you can see a price tag hanging, when trying to avail its advanced features. The user opined that these fees are comparatively low and worthy for its excellent services. Similarly, to get the technical support also one needs to purchase the product. Anyhow, it functions well for both big and small businesses in the same way, with a beautiful scaling provision. 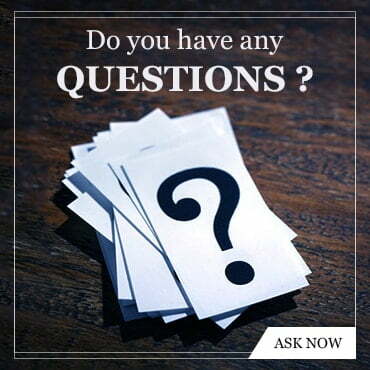 PinnacleCart is an e-Commerce platform with no technical expertise required for convenient use, . It is a SaaS type software. It offers a full power for sellers add their products with images and descriptions, edit them and manage the orders with ease. Also it offers web hosting, maintenance and security for the site. The important feature is its support to create discount and promotions for the selected products or for the entire range. A 14 day free trail option is available for those who wish to test the performance for their sites. Then there are various pricing plans, if you anticipates to buy the product. Be cautious before buying, for PinnaleCart doesn’t offer refund for any reason. The exceptional scaled pricing strategy depends on site traffic and product stocking. It is helpful for the retailers to avail plans suiting their business volumes. All the basic plans comes with daily updates and back-ups, email, message services and PA-DSS as well as PCI compliance. The world class sites like Discovery Channel and Sacred Charms make use of this e-Commerce solution. It praises its service quality. 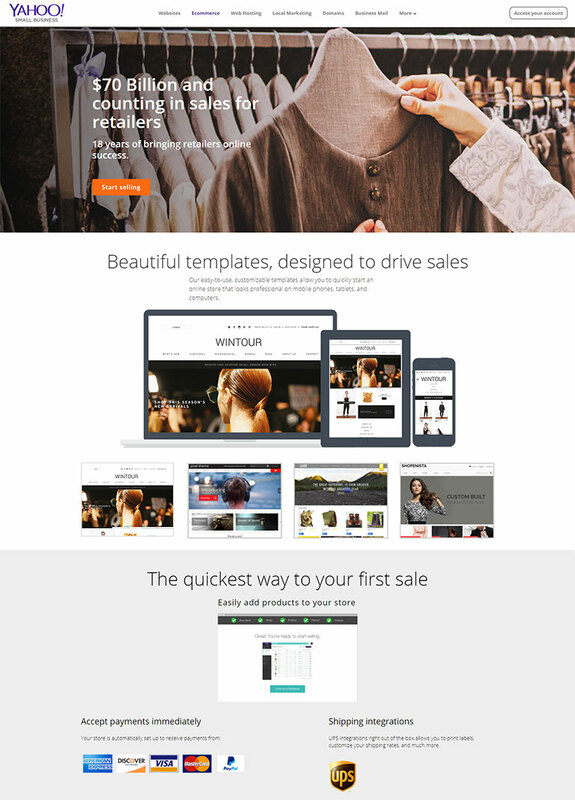 Volusion comes with all the basic features to get started selling online. As Amazon and ebay has the best integrating options, it offers the cheapest abandoned cart recovery practise. It has a powerful edge and modest design frame. Apart from developing and operating a shopping site, there are tools to customize your store based on your business brand. 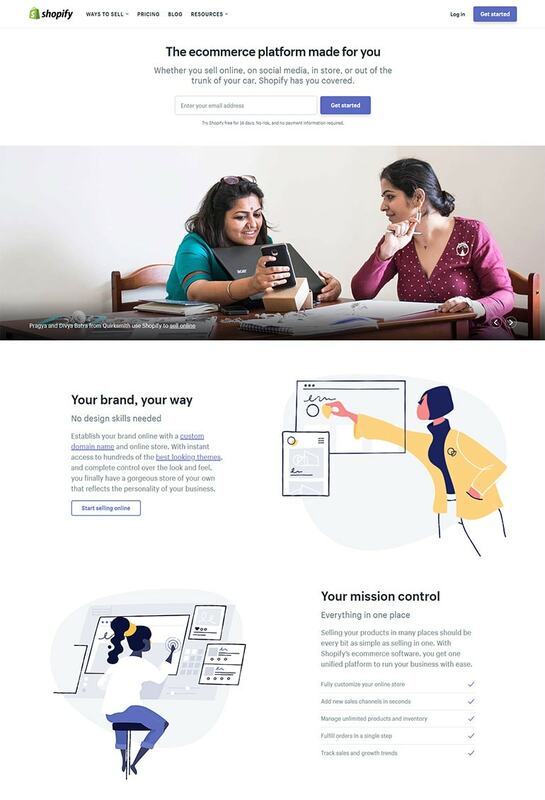 Volusion also provides tools for marketing, SEO optimization, social media sharing, editing options, products management and shopping cart abandonment recovery options. It supports appreciated features like loyalty or reward plans and deal of the day programs to attract more buyers. There are two versions available with Volusion. V1 and V2. V1 being the basic complex and original software and V2 it’s simplified and modified form. The pricing plans differs for both of them, with the difference largely being in their transaction charges. A 14-Day Free Trial is offered by Volusion, to get a compatibility test for your site. If you want to purchase the product, then monthly plans are available without any set up or cancelling charges. Yahoo the pioneer in the shopping cart software, previously branded as Yahoo Merchant Solutions. It undergoes frequent improvisations since from the introduction to get par with the seller and online store demands. It is suitable for any online retail store regardless of its size. Built-in SEO functionalities are its added features which invites more and more users to the platform. The fundamental provisions includes unlimited bandwidth, product and storage space. The alternatives surpass Yahoo only when it comes to the transaction charges. But once subscribed, you can avail services such as phone support, account management, and access to API and an option to reduce the transaction fees. Also the transaction fees decreases with upgrading of packages. Even though it is expensive for small business brands, this is a highly feasible e-commerce shopping cart. Shopify offers beneficial features to aid businesses form and run online stores. It also incorporates tools for offline trading. Approximately around 110000 online retailers are using this platform. It is easy to use and provides quality customer support as it associate with 70 payment gateways. It offers services like multilingual support, tax rate calculation, email template and shipping flexibility. It is easy to add products into shopify using import/export feature which is very simple when compared with other shopping carts. It provides reasonable price and allow the sale of merely a single product to an all-in-one trading. Shopify is a web-based platform which comes with all the basic provisions. Hence add-on integrations and features enhance the store customization. But to operate it, what you only need is a computer with an internet connection. It also provides a free 14-Day Trial option, without requiring to provide your credit card details. At the end of it, either you can avail further service by purchasing the product or automatic cancellation happens. 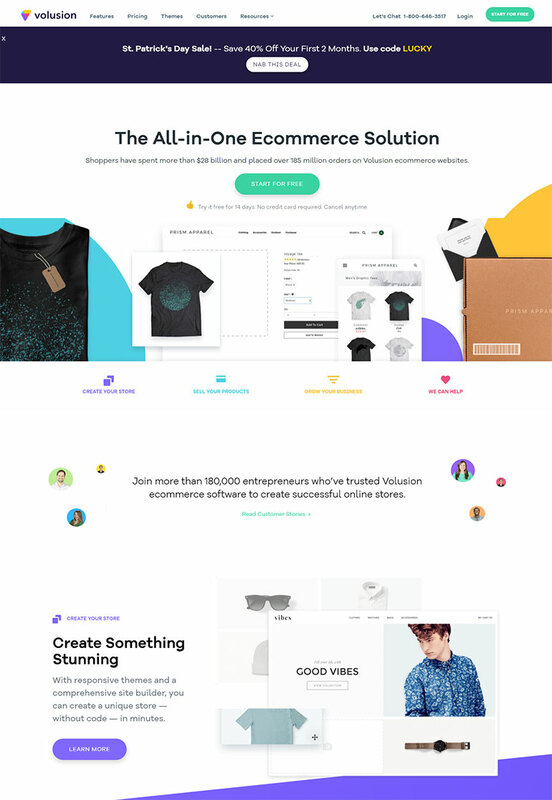 The impressive feature about Shopify is its fresh and organised dashboard. 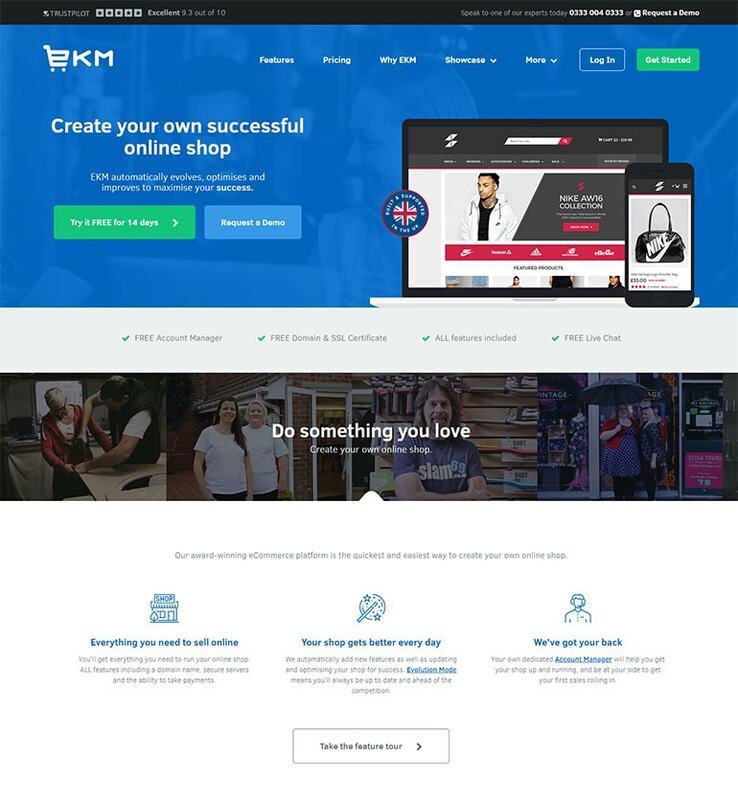 The ekmPowershop emerges to reach the top among other high ranked hosted e-Commerce platforms as it do not need any contract or lease time . It is well known for its ease of use and simple method to start up an online store. Not required to use and operate the platform by yourself. ekmPowershop does everything by its own. The retailer only have to add products and details to the ekmPowershop store and manage the customer orders and correct delivery. It also helps to promote your sales through multiple search engines, SEO optimization and adds advanced updates by its own. The retailer does not need to expertise with coding or programming language. A collection of beautiful and appealing web designs and themes allows your storefront to have a professional look. The user can itself edit the web theme and content without the help of ecommerce developers. An easy payment procedure and benefits like PCI compliance and SSL certificate come with this shopping cart. 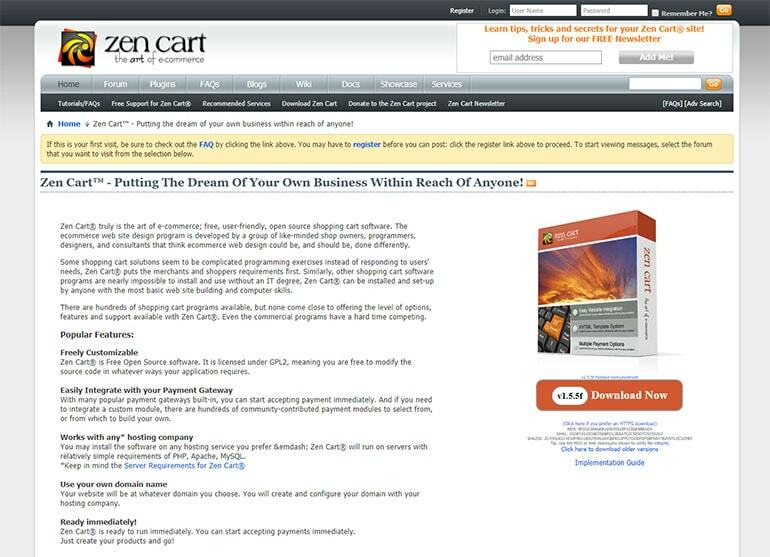 Zenkart is an open source, free to download online cart software developed based on PHP/MySQL with a full option customization feature. There is a Zenkart community who are committed for the development of add-on features. Always you should have technical knowledge and coding experience to run the site on this platform. But, for users who are inclined more towards the customization facade, this can be a better option. You have to pay only for the web hosting and domain name services as obvious with all open source e-commerce platforms. By which you can also get the SSL certificate. But third party associations and web designers has to be hired which adds further to cost of the product. Though it is not rated for beautification aspects, it incorporates the best marketing features and SEO options. It also integrates customization for product description and reliable shipping. Copious payment segments are ready-made with the software. Also it is easy to choose the best alternative and possible to include other standard payment gateways. For a mid-range business brand with an ample IT support could opt for this multilingual supported e-Commerce shopping cart and get sales on an international arena as well. This is a robust e-Commerce shopping cart solution for all type of online stores with options to customize them reliably. Also inculcates high class inventory or stocking management and accounting services. It features to have an order status tracking option which helps the sellers to manage product delivery and enhance their sales. 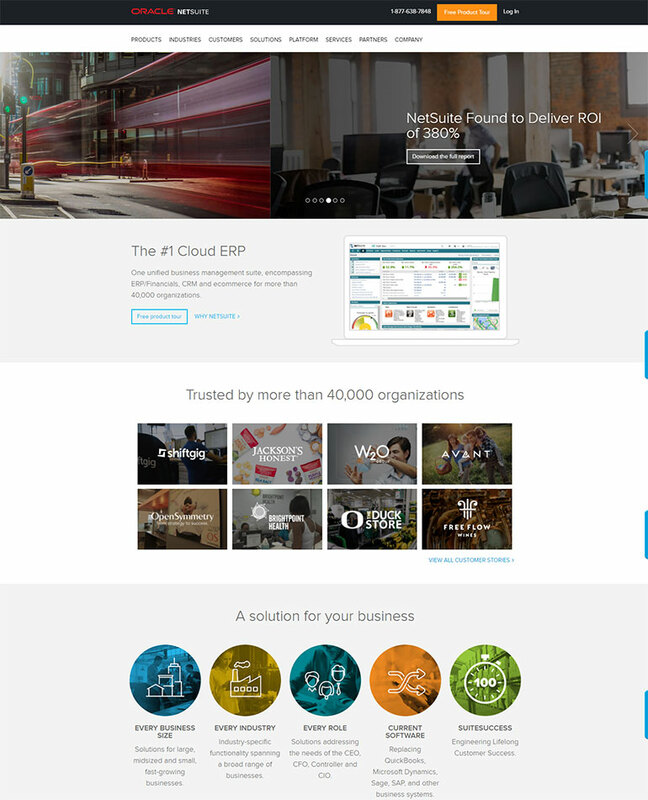 The noticeable and very flexible UI of NetSuite helps to add the product into NetSuite at an ease. And with an add-on feature to update the out of the stock notification for each product, unlike its other alternatives. It also facilitates the merchant to successfully manage the email marketing campaigns. Also worthy SEO results in accord to boost his brand. NetSuite has a complete range of e-Commerce solutions integrating services such as managing orders, warehousing, delivery and shipping, accounting, and CRM functionalities. It helps each retailer who has subscribed the software to grow their digital presence with reduced investment and time. 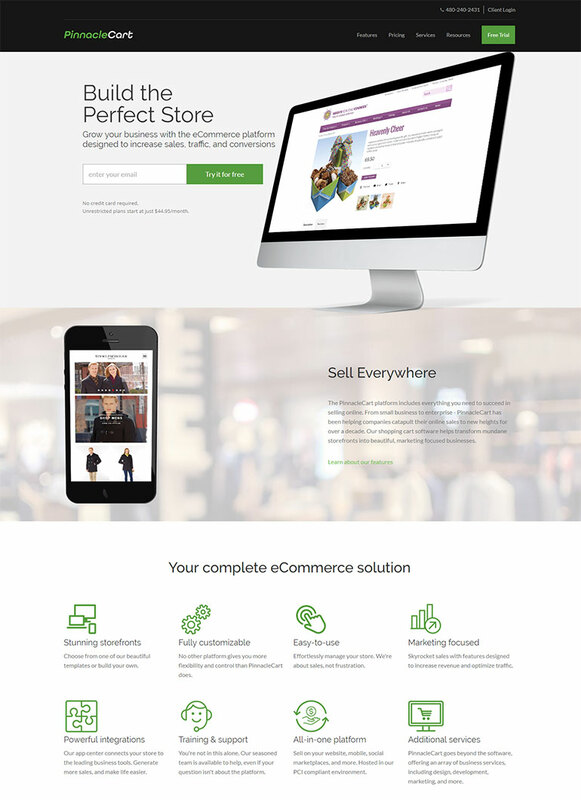 Shopping Cart Elitebasically designed for the established business and companies. Now it moves to accommodate the smaller businesses as well. But, is still highly recommended for high sized business brands. SCE offers a broad selection of exceptional and specific features suitable for composite selling procedures with dedicated option for automation, relating to either the daily transactions, time or money to run the business etc. But the SCE website has not listed their pricing plans as done earlier. So it’s hard to know and compare the financial validity of the software. The price is estimated in proportion with the size of the companies and number of SKUs to be listed. Also it is known that they used to charge certain fees for the setting up process. It is advised to contact the SCE professionals before purchasing the product. A free 14-day trial offer is helpful to acquire an overall product performance review before committing. The above provided list is not an exhaustive one. 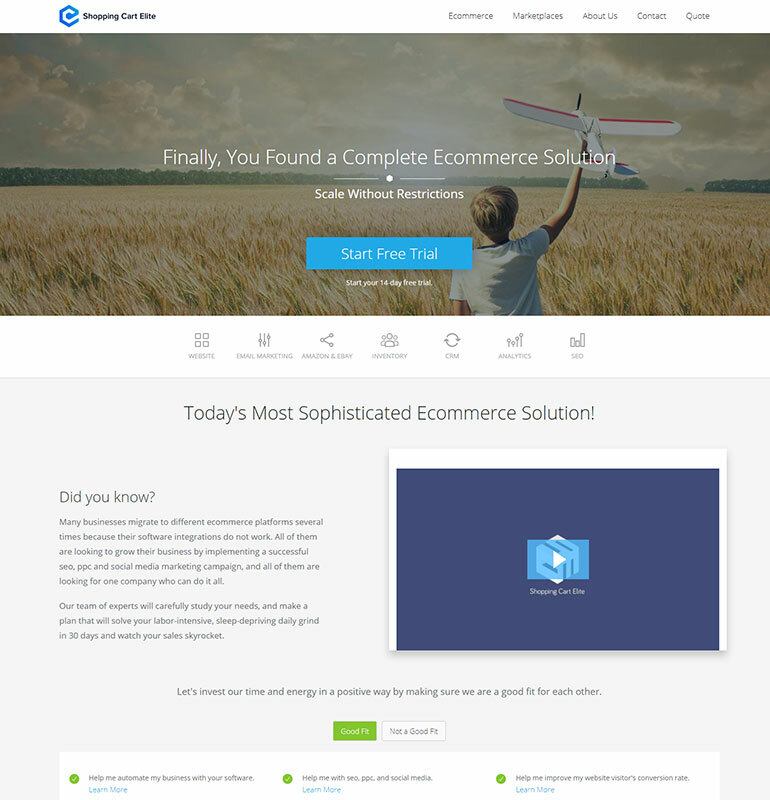 There are numerous other e-Commerce shopping cart solutions available today. Check with your online store requirements before implementing a certain platform. If you intends to purchase a particular software, kindly utilize the free demo version. Also be sure to understand its performance and comparative benefits over the other similar alternatives.